Downloading and completing these forms now will help make our office time with you as productive as possible. Below are a variety of frequently asked questions. If you have a question and do not see the answer below, feel free to contact us! Chiropractic is a natural from of health care that uses spinal adjustments to correct misalignments and restore proper function to the nervous system, helping your body to heal naturally. Chiropractic doesn't use drugs or surgery. Chiropractic is one of today's fastest growing, most-sough after fields. According to the U.S. Department of Labor, employment for chiropractors is expected to grow "faster than average" in the coming years, as consumer demand for wellness care increases. Chiropractic is the fastest-growing and second-largest Primary Care Profession. Do I need a doctor's referral to see a Chiropractor? Like a dentist, a Chiropractor can be visited without referral from a medical doctor. All 50 states consider chiropractors as primary care providers, which means that you can seek direct access to a doctor of chiropractic without a medical referral. 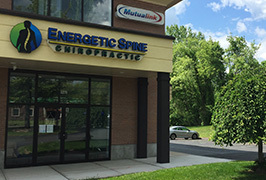 Chiropractor are very knowledgeable and familiar with spinal health issues and are trained to diagnose health problems withe cooperating with other health care professionals. On your first time visit, an in depth confidential health exam will take place. The Chiropractic exam will include: consultation, patient history and physical examination. During the physical examination we utilize a variety of methods to determine the spinal segments that require chiropractic care, including but not limited to static and motion palpation techniques determining spinal segments that are hypo mobile (Restricted in their movement) or fixated. After analyzing the data to this point, x-rays may or may not be taken. While not always necessary, they are a reliable way of making care safer by ruling out contraindications while measuring changes in spinal alignment. Viewing Accurately assess that position of bones to determine if ligaments in your spinal column have been stretched or torn. Expect the first visit to take anywhere between 45 minutes to an hour. Does Medical Insurance cover Chiropractic care? compensation, Medicare, some medicaid plans, and Blue Cross Blue Shield plans of federal employees, among others. For Those without insurance in need of chiropractic care, we also offer cash payment plans designed to get the help you need now. If your family is interested in a maintenance chiropractic financial plan, we make it affordable for the whole family. What is the purpose of the free of charge Educational Chiropractic Orientation for new patients and Community members? Mon: 9:30 a.m. - 1 p.m. | 3 p.m. - 6 p.m.
Thurs: 9:30 a.m. - 1 p.m. | 3 p.m. - 5:45 p.m.